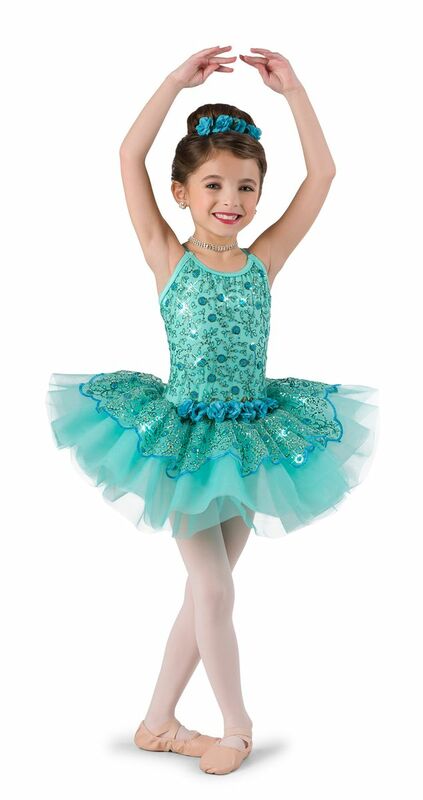 Aqua rosette sequin mesh over aqua spandex leotard with adjustable straps. 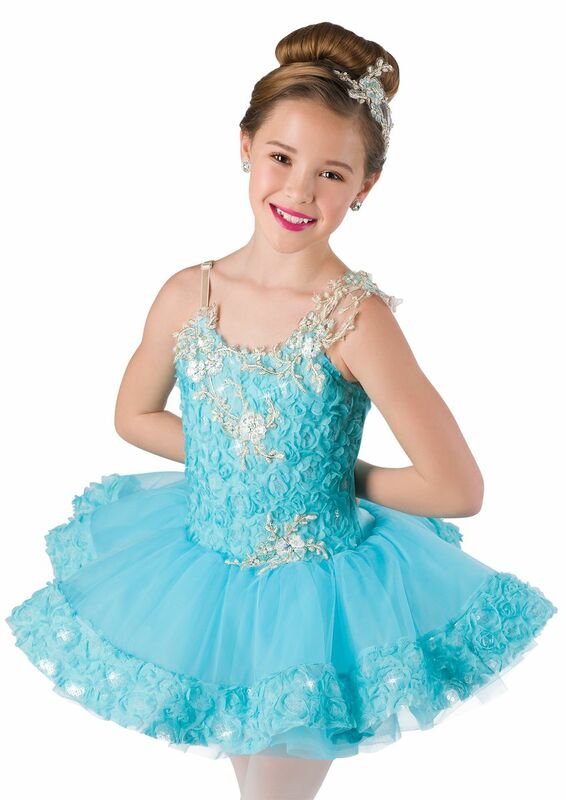 Attached aqua tricot tutu. 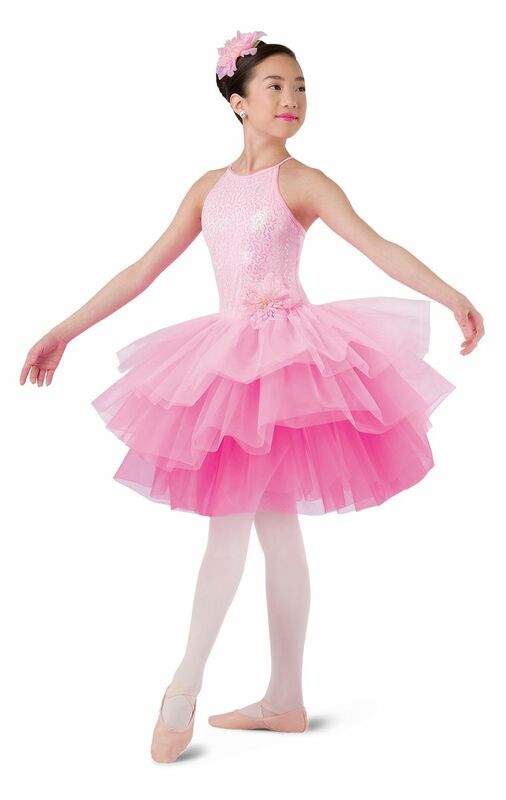 Appliqué and rosette trim. Imported.